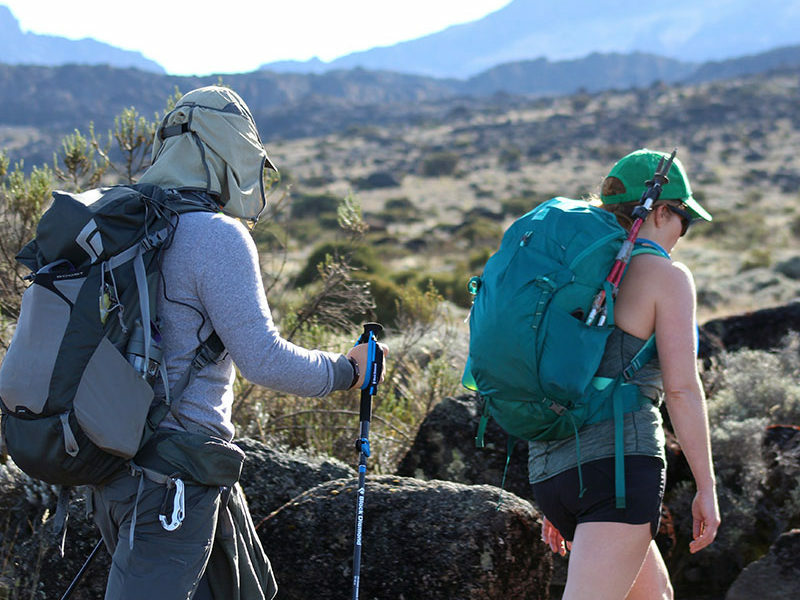 The Lemosho route 8 days starts on the Western side of Mount Kilimanjaro at the Londorossi Gate and was introduced as an alternative to the Shira Route which begins at a higher, more challenging altitude. The Londorossi Gate is a fair drive from the town of Moshi. At the gate you will register with the authorities before being driven a further 12km to the starting point. 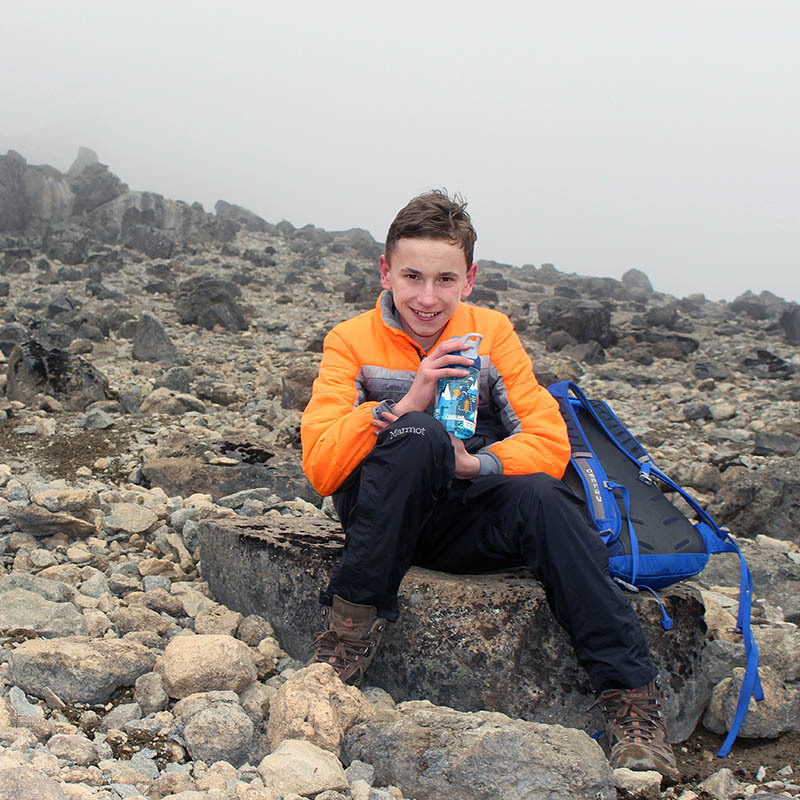 On day three the Lemosho Route joins the Machame Route at Lava Tower and down towards Barranco Valley via the Southern Circuit. 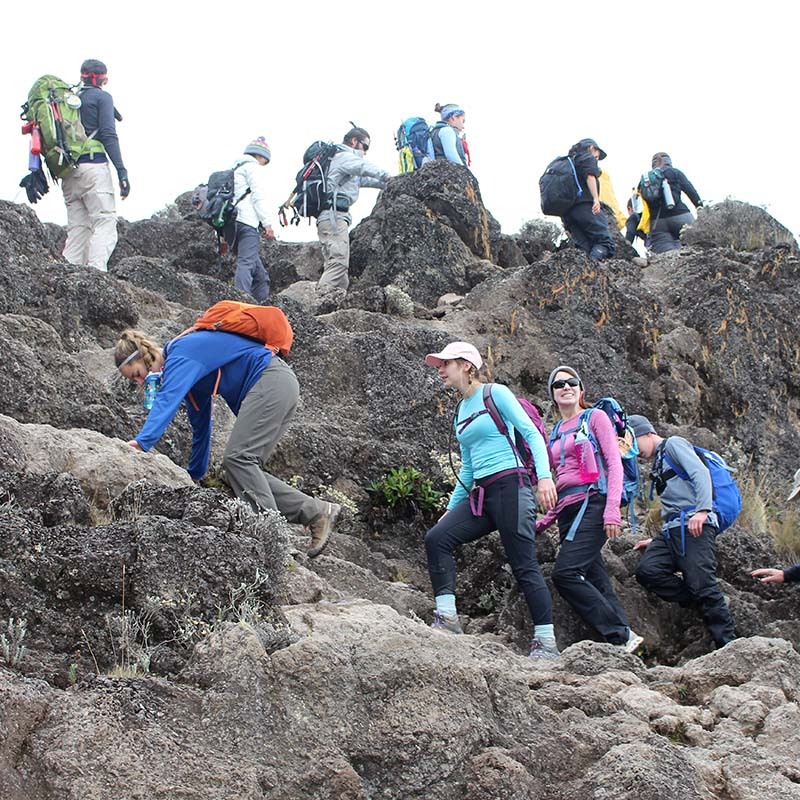 As with the Machame Route, Lemosho trekkers need to transverse the Barranco Wall and then summit from Barafu Camp. 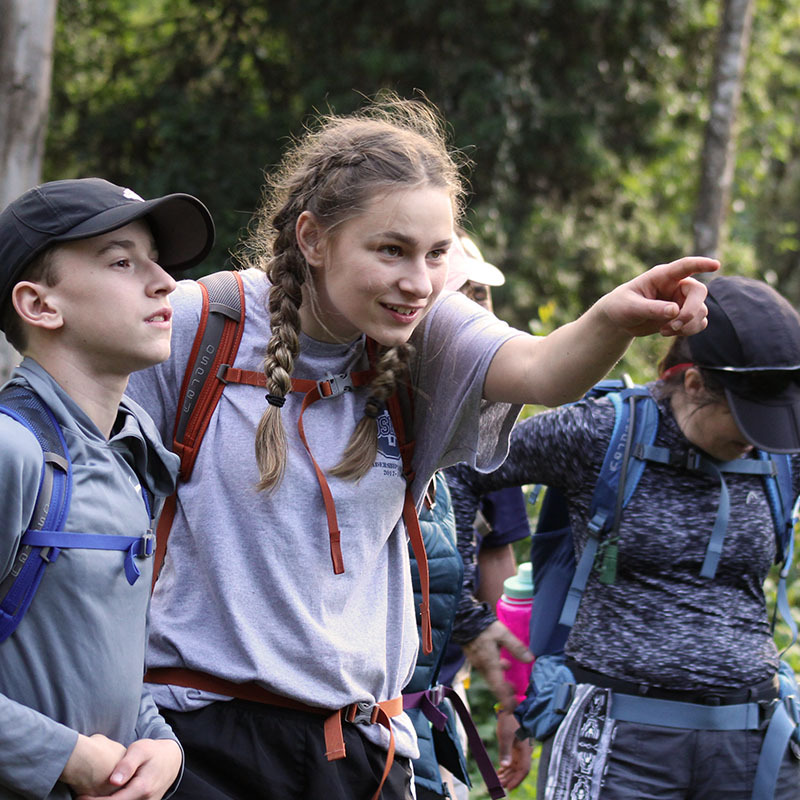 The seven day route typically stops for a night at both Shira Camp 1 and Shira Camp 2. 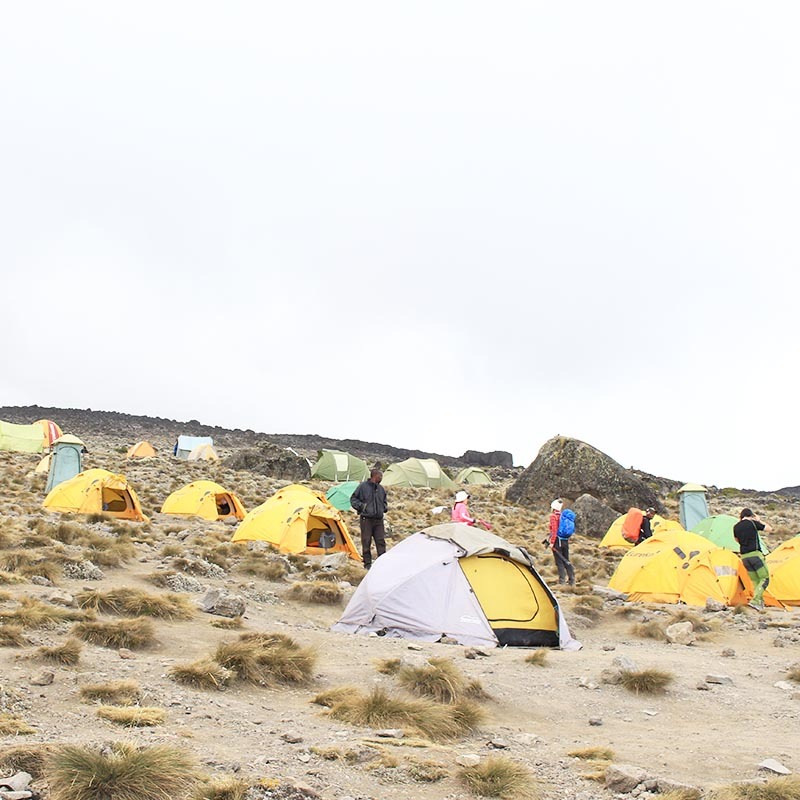 Eight day treks stop again at Karanga Camp for another acclimatization day. 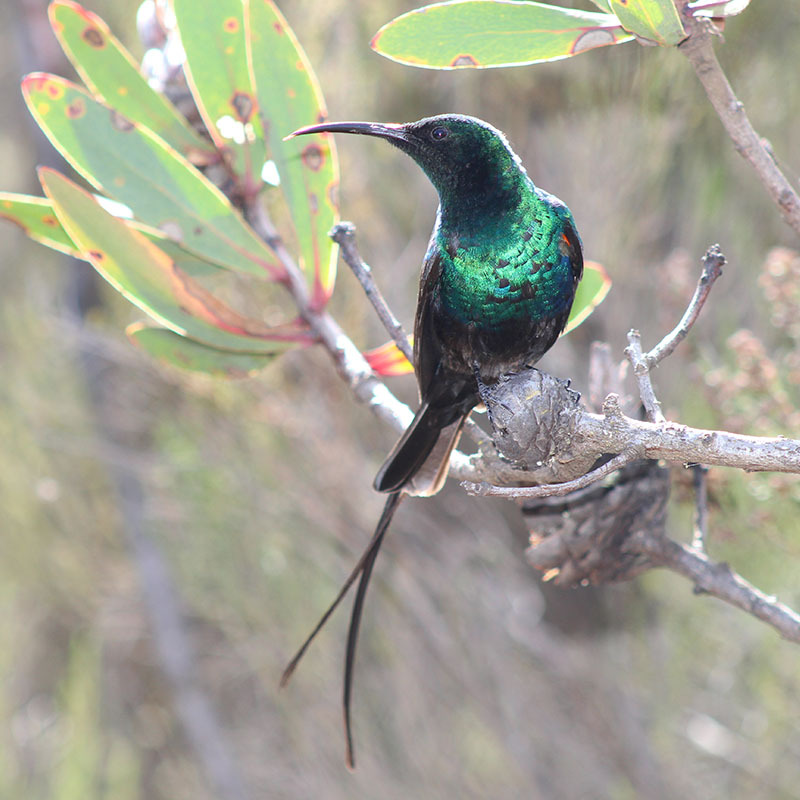 The Lemosho route’s drive is very scenic as you pass through west kilimanjaro captivation local farms area. You pass through a forest vegetation towards the parks gate. 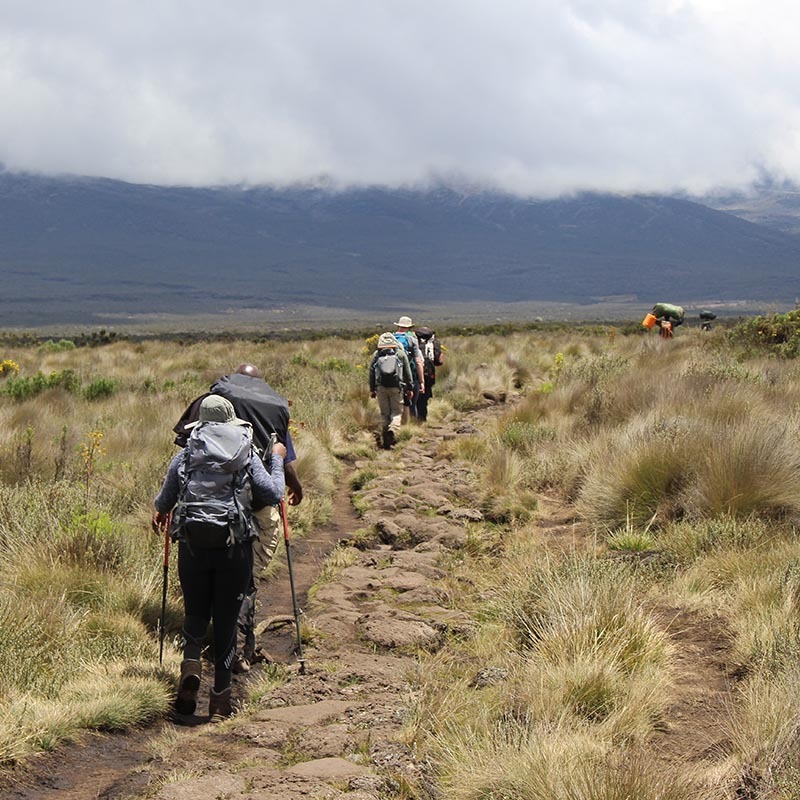 The route is unspoilt and beautiful way up to the Shira Plateau while climbing Mount Kilimanjaro. 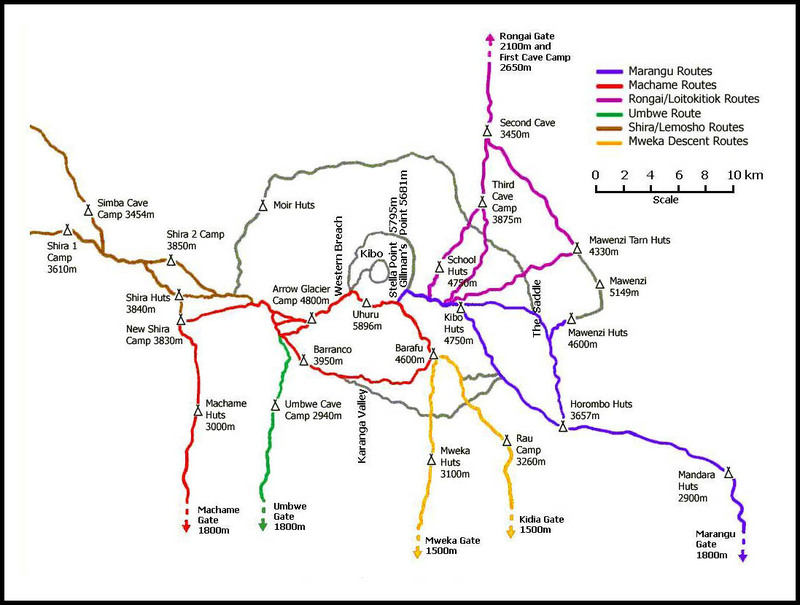 It can either be used to gain the Western Breach route or followed by the Kibo South Circuit to ascend by the easier Barafu Route. 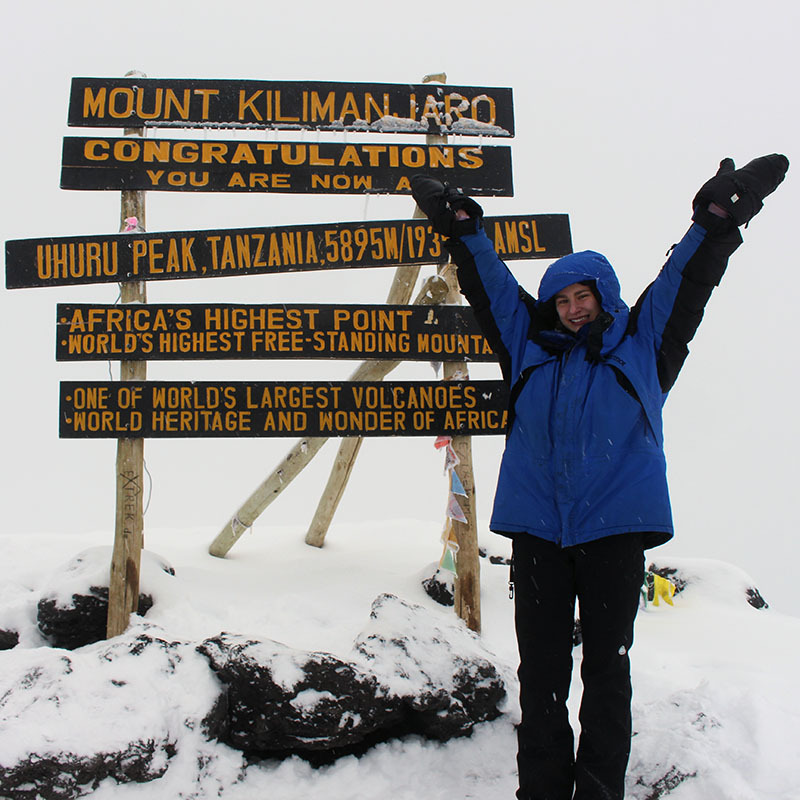 Lemosho route is has one of the highest success when it comes to summiting Mt kilimanjaro. 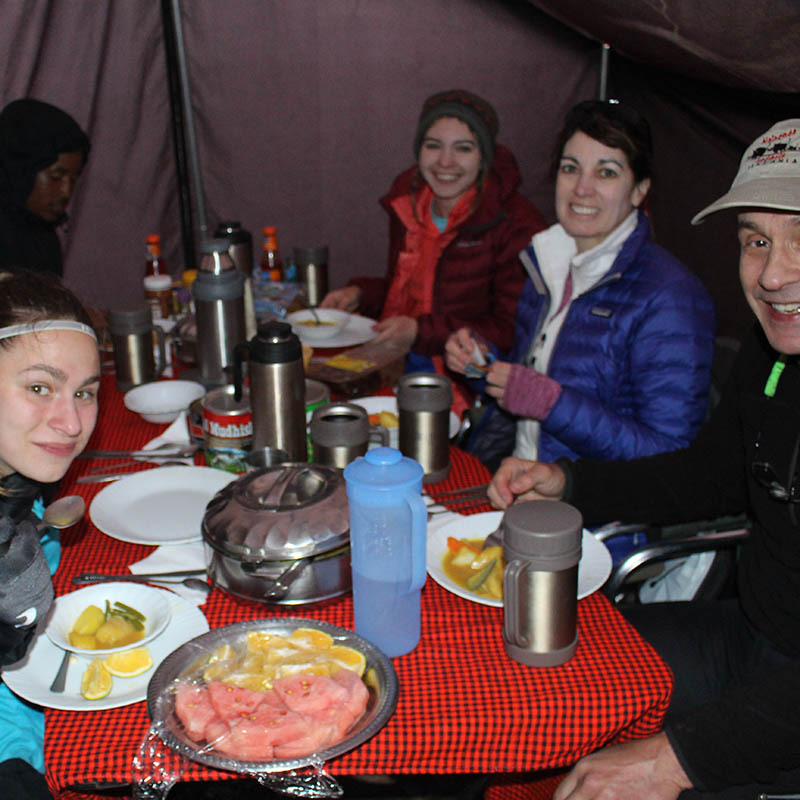 After a good night’s rest and breakfast, we set off on our walk to Barafu camp at 4640m. The climb will take us across desolate scree slopes with no vegetation around us at all. It’s a tough steep walk made more difficult by the altitude. On arriving at camp we eat and spend the afternoon resting as we prepare for a long night and day ahead. It is important to keep hydrated and warm. We have an early dinner and then try to get some sleep as we will be getting up at between 11pm and 12 pm to start the climb to the summit. You will be awoken around 23:30 with hot tea and biscuits. Hopefully you have managed to get a few hours’ sleep; don’t worry if you haven’t as most people struggle to sleep before summit night. Do however make sure that all your kit, including warm clothes, headlamp, insulated water reserves and snacks are ready for a sharp departure at 24:00. 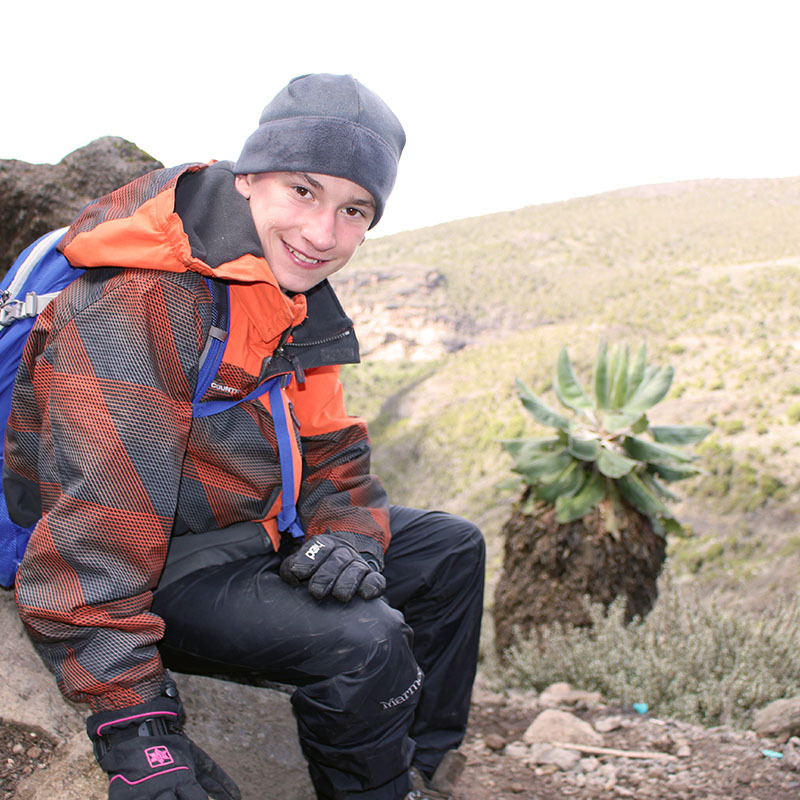 The trek up Kibo is steep and slow. The trick is to keep your momentum moving forward, one step at a time. 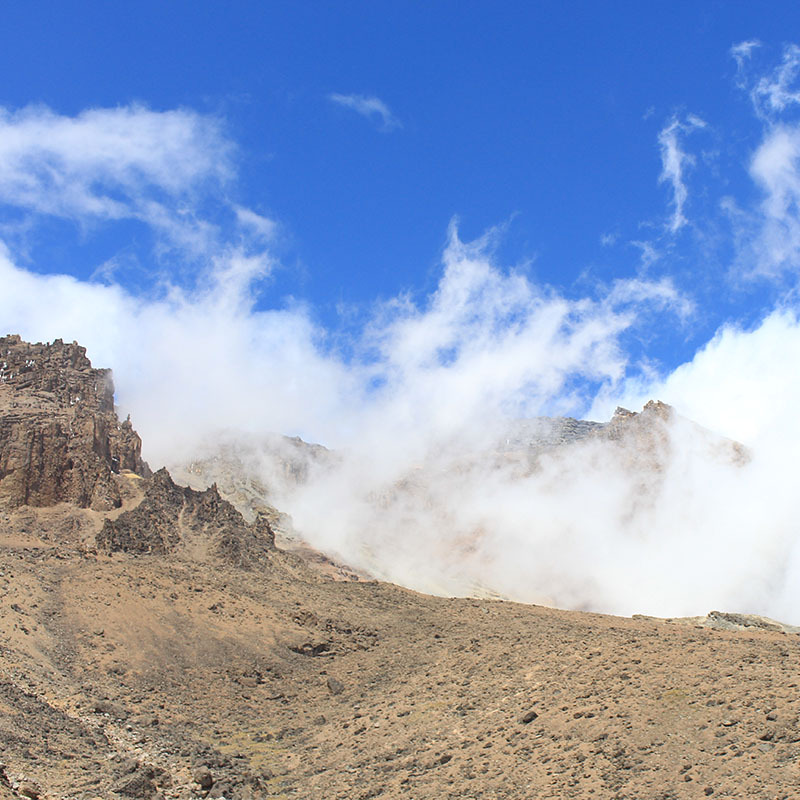 It takes about 6-8 hours to reach the top of the crater rim where you will see the sign for Stella Point (5,739 meters). 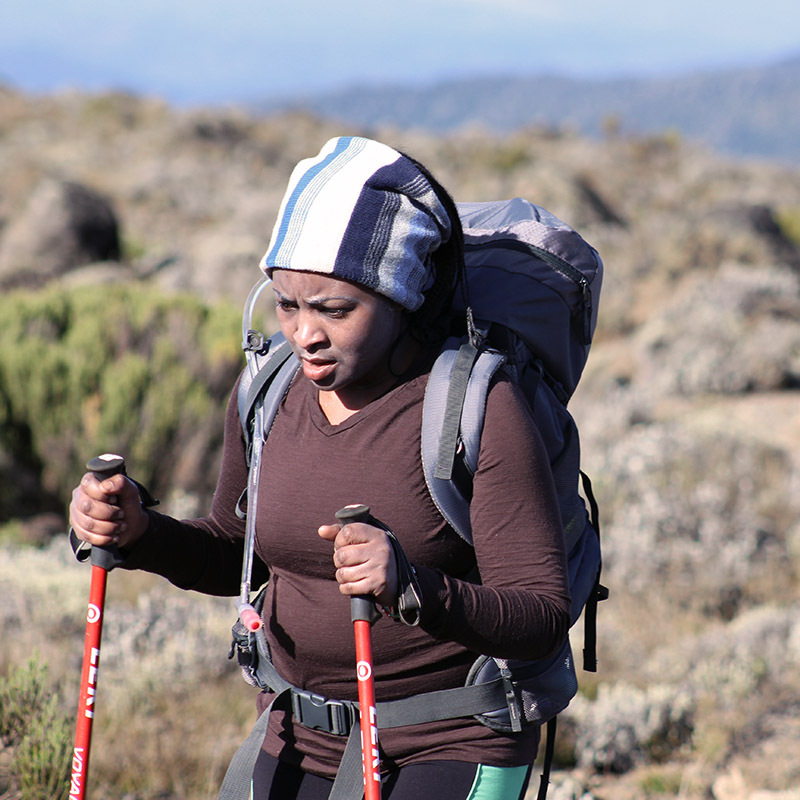 You still have another 156 meters of altitude to walk around the crater rim to Uhuru Peak (5,895 meters). 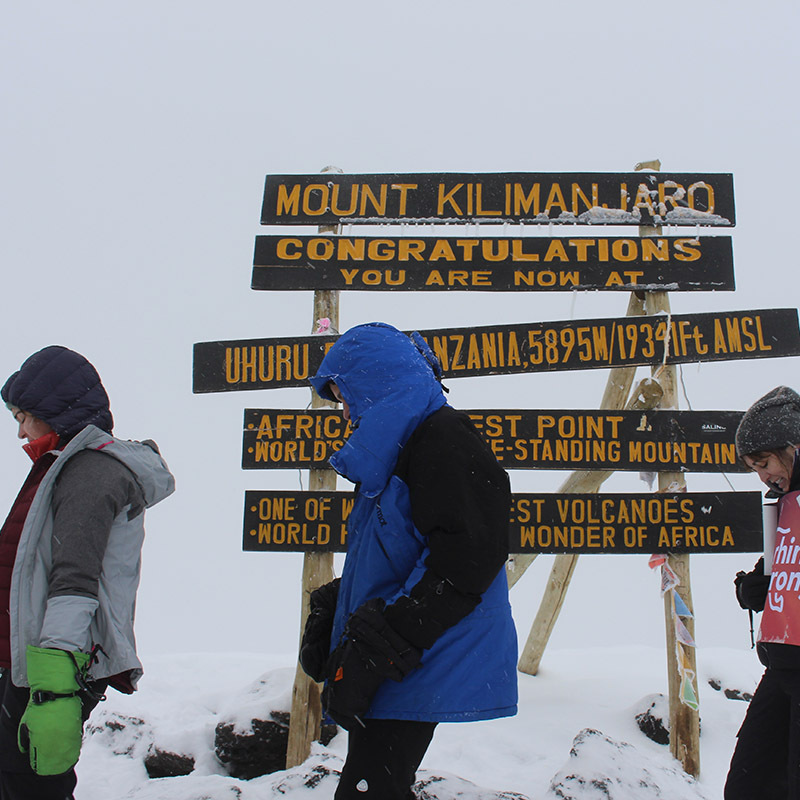 After reaching the summit of Kilimanjaro, a 4.5km / 3 mile ascent, you still have an 11km / 7 mile descent to Mweka Camp (3,100 meters)! Mweka is situated in the upper part of the rain-forest zone. The richness of oxygen and moisture in the air will be a very welcome surprise. In the morning after breakfast you will be trekking down to Mweka gate. 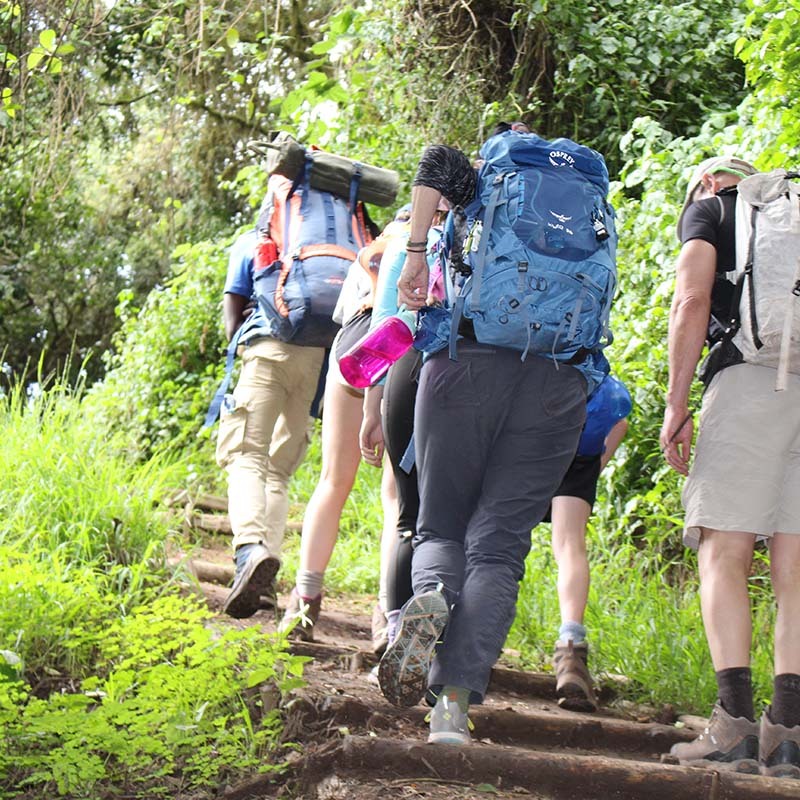 The trek is a pleasant one through the lower rain-forested slopes and down to Mweka Gate (1,640 meters). Although you cover 9km / 5.5 miles, the trek only takes 3-4 hours. 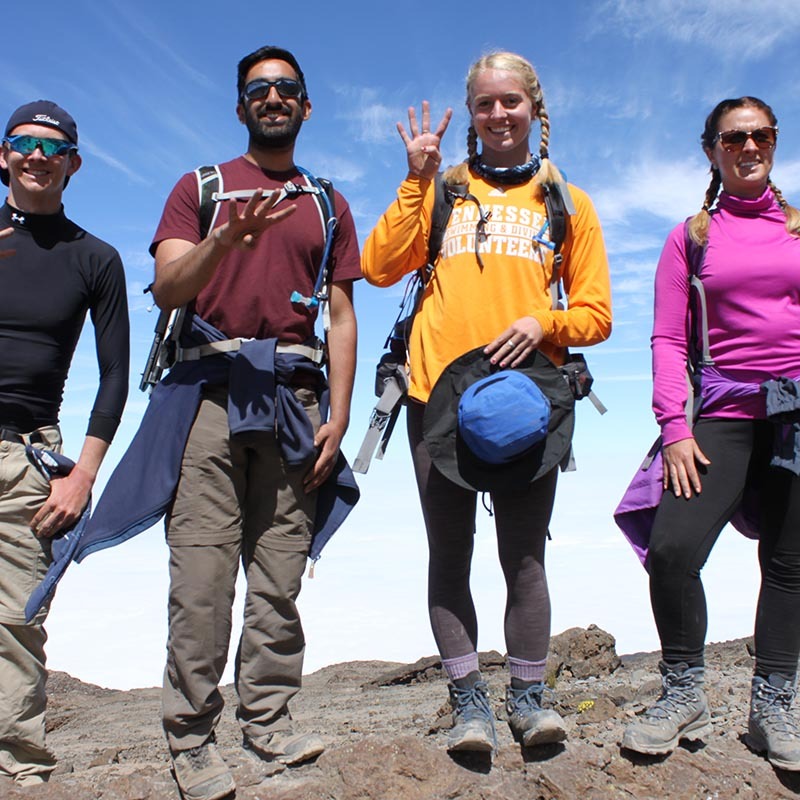 Assuming you successfully reach Stella Point or Uhuru Peak you will be presented with official certificates – a green certificate for the former and a gold certificate for the latter. It is customary to tip your trekking crew before being transported back to your hotel in Moshi. 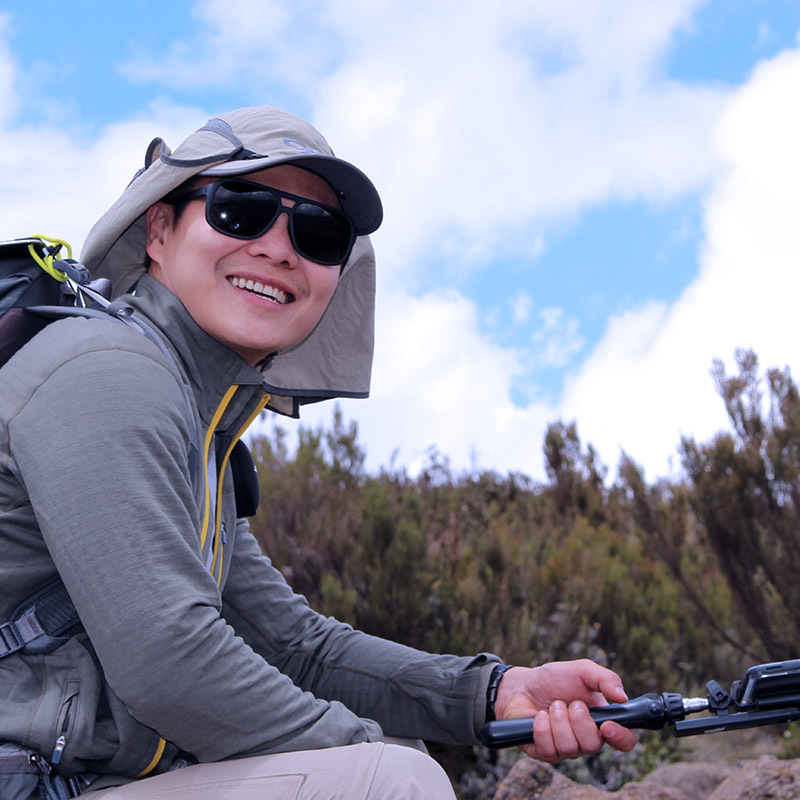 Lemosho route is very scenic as you pass through the west kilimanjaro captivation local farms area.